Our financial performance continues to be strong in all areas. Our turnover decreased by £0.4 million or 0.6%, impacted by a reduction in rents receivable for supported housing and independent living. Our operating costs increased by £3.2 million or 6% mainly due to increased planned and major repairs expenditure. Cost of sales has decreased by £0.3 million, a direct result of lower levels of supported housing and independent living sales activity. Our operating surplus stood at £18.5 million compared to £21.8 million last year. This has been impacted by increased salaries and Technology Enabled Care Support (TECS) services costs. The surplus after tax decreased by £1.7 million to £8.0 million. The surplus on cash flow from operating activities was £27.7 million which financed loan repayments of £6.1 million made during the year and the investing of £12.7 million in the development and maintenance of our homes. 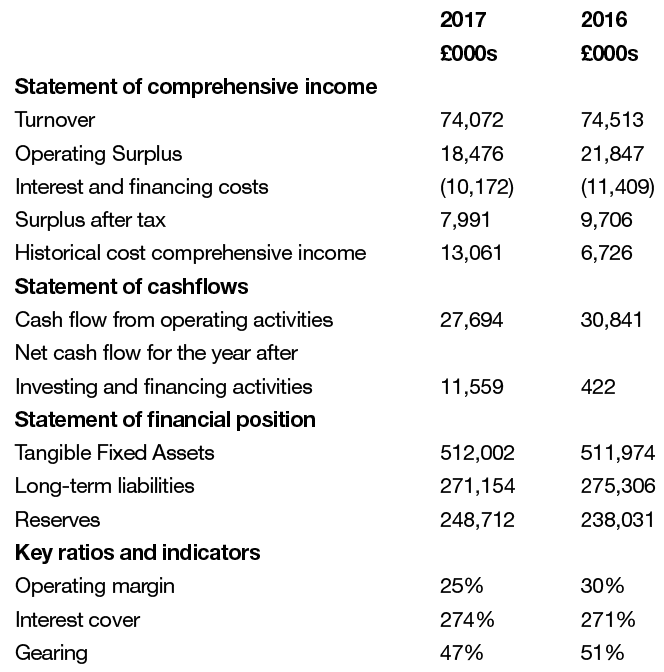 Net tangible fixed assets remained stable at £512 million reflecting new developments and replacement of components offset by depreciation. The Group’s share of the pension fund deficit for both Local Government Pension Schemes and Social Housing Pension Schemes is £10.5 million. Reserves increased by £10.7 million due to the surplus made in the year and movements in other provisions. 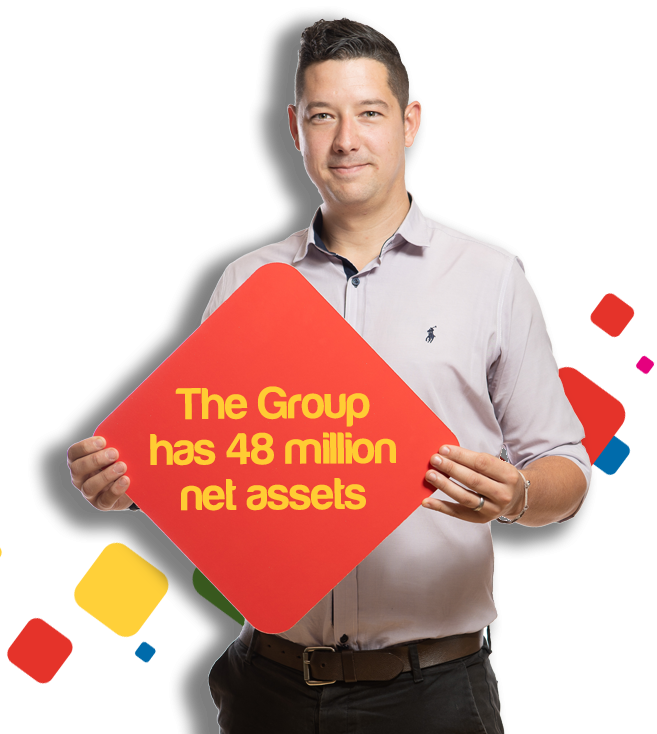 The Group had £48 million net assets at the end of the year. Net debt reduced by £9.3 million due to loan repayments.